CMS Cepcor® holds large stocks of replacement crusher spare parts and wear parts to suit the ‘JM’ Jawmaster® range of jaw crushers manufactured by Svedala. Our range includes replacement mainframes, jawstocks, eccentric shafts, bearings, flywheels, springs, toggle mechanism parts and more. The CMS Cepcor® aftermarket range of premium manganese jaw plates to suit Svedala® jaw crushers includes coarse corrugated, wide teeth, heavy duty and CMS Cepcor® advanced profiles. 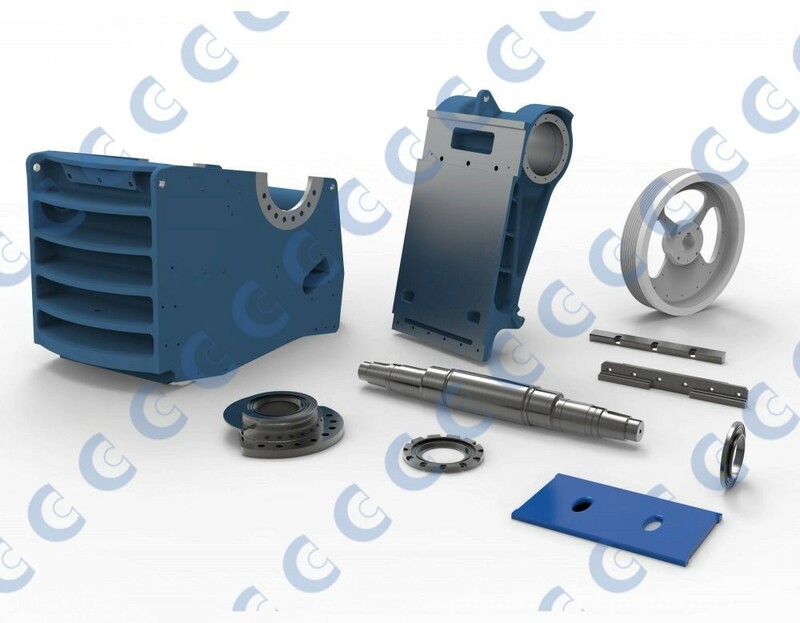 CMS Cepcor® premium grade manganese jaw plate wear parts are available from stock in M14 manganese (-01 / M1 equivalent grades), M18 manganese (-02 / M2 equivalent grades) and M21 manganese steel (Special Order). All CMS Cepcor® compatible parts to suit Svedala® crushers are manufactured and warranted by CMS Cepcor®.